« Why add a cost to GHG instead of subsidizing renewables? Tax or cap and trade? As per a previous post, adding a cost to greenhouse gas emissions is more effective than direct subsidies in reducing greenhouse gas pollution. However, many in the public, and many economists, are divided over how to implement that cost, and what to do with the revenue. These terms will be used in the following discussion. • A tax charges a set amount for every unit of pollution. Businesses find a tax easy to plan around, although the decrease in pollution is harder to predict. Note: I have heard economists sometimes use the term tax to refer to a cost of any kind. • Cap and trade sets a cap on pollution; this can be a total cap, or in one or more sectors (e.g., electricity or transportation). The cap determines how many permits to pollute are allocated or/and sold. Industries finding pollution abatement expensive buy extra permits, those finding it cheaper sell. The pollution goal is known, but the cost of permits is harder to predict, and to plan around. • A hybrid cap and trade system starts with cap and trade goals, then limits wild swings in permit prices. One method is to set a floor or/and ceiling on permit prices. This limits price variability, but interferes with cap and trade goals. This system is hybrid because it acts like a cap and trade system if prices are in the range expected, but becomes a set tax if not. Hybrid cap and trade systems use a floor or/and ceiling on permit prices. Climate change has great costs —1. 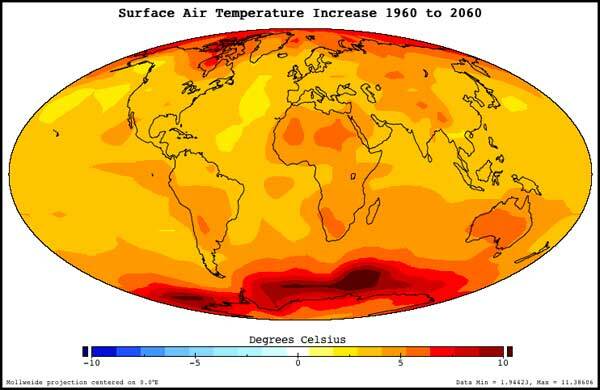 Earth is warming. For years, these three approaches for adding a cost (tax, cap and trade, and hybrid) have been used and studied. Meanwhile, some in the public have fought for a particular method because they see it as better or more politically attainable. Economists see fewer differences among the plans if they are well-designed. Most important, all three add a cost to greenhouse gas emissions. Where there are differences, the tax and the hybrid cap and trade methods appear better. Then value judgements come in, e.g., is it more important to come closer to meeting climate reductions goals, or to make business planning easier? The differences between methods are minor. Rather than arguing for one or against another, economists feel we should argue for a cost. The details of allocating the income are tricky, involving social equity, burdens to business, calls to fund other programs (whether related to climate change or not), investment in the future through investments in energy research and development, and decreasing the cost to society by replacing other taxes. In the public discussion of allocation, too many of these issues are not addressed. Most of what is discussed below comes from a paper, Carbon Taxes versus Cap and Trade: A Critical Review, by Lawrence Goulder, who served as vice-chair of California Environmental Protection Agency Market Advisory Committee, and Andrew Schein. The overview indicates that there is relatively little difference between the tax and cap and trade programs in most ways seen as important in the public discussion, such as what happens to the revenue, and the use of offsets. There are a number of areas which have received little attention where differences do show up, such as how the U.S. plan would coordinate with decisions elsewhere. Achieve Linkages across Jurisdictions ? ? ? Achieve Benefits from Broad Sectoral Coverage ? ? ? Achieve Greater Political Support ? ? ? Notes: * applicable when the price ceiling or floor is engaged. X indicates relative advantage, ? indicate that the relative advantage is uncertain. The discussion below appears more nuanced than the table indicates. A couple of people who looked at the draft asked me, why this paper? and felt that I had particularly chosen it because it confirms my worldview. Actually, I have never read an economics paper of any kind that does this. I discuss why Goulder and Schein briefly at the end. Now for the details! And there are lots. Climate change has great costs—2. 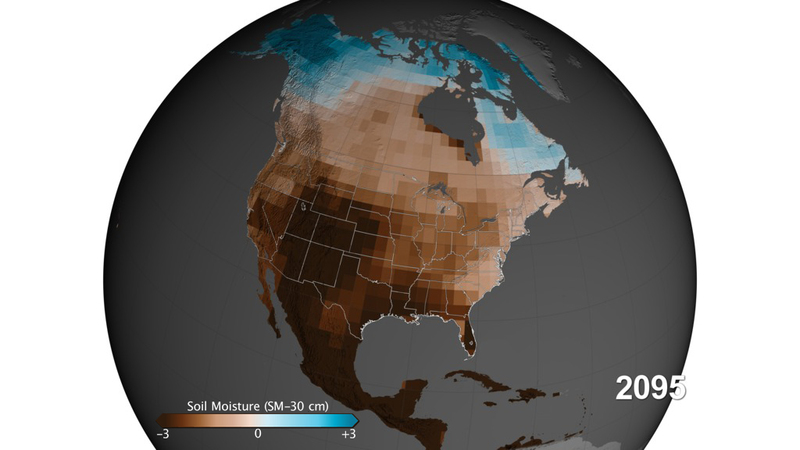 Precipitation and soil moisture will change as well—some areas expected to move into drought will see more precipitation, and much of North America may move into megadrought by mid-century. It’s important that we get adding a cost right. • encourages producers to find methods that have lower emissions because they are cheaper. • encourages consumers to buy less of high emissions products (electricity, gasoline, and aluminum) as prices rise, or to shift to other products with lower emissions, so reducing emissions more. In other words, businesses reduce emissions where it cheaper than the cost imposed through tax or cap and trade, and then stop when costs are equal. With cap and trade, the number of allowances that can be bought and sold determines how much pollution declines, not whether allowances are freely allocated or sold. However, the decision to sell permits, or not, affects who pays, and can increase the total cost of the program (see below). Climate change has great costs—3. Both the Russian heat wave and almost simultaneous Pakistani floods in 2010 are thought likely due to climate change. Design of the system is important, probably more important than the choice of tax or cap and trade. • Both programs cost both industry and consumers. A cap and trade program allows flexibility in distributing costs between them, e.g., costs can be lowered for an industry by allocating free allowances. A tax system allows the same flexibility by granting partial or full tax exemptions. If there are too many free allowances or tax exemptions, and not enough money returned to low-income people, costs to the poor can become burdensome. • All regions suffer economically if they move ahead of neighbors. Additionally, this is likely to lead to leakage—industry moves out, usually to an area with an inadequate price on emissions. Then GHG emissions appear to go down, reducing pressure on the price of emissions. Both plans allow border adjustments. The plan implemented on imports could be the same or different than the one used for domestic purposes. It could be limited to a small number of sectors, such as imported fossil fuels, refined fuels, and high energy products such as steel and aluminum. Unfortunately, this is expected to be difficult—such a program is administratively complex, and countries are unlikely to have enough information to tax imports fairly. • Both plans allow offsets. Offsets are emissions reductions that occur outside the plan, such as planting trees in a program that does not include land use. Since the Kyoto Protocol, offsets have been questioned primarily because of concerns about additionality: were emissions reductions actually additional to those that would have occurred anyway? • Costs can be added upstream (coal mines, oil wells), midstream (refineries, rail), or downstream (electric power plants, home water heaters) for both cap and trade and tax. Downstream sources far outnumber upstream sources, and increase administrative costs. For carbon dioxide, the chemical formula (e.g., CH4 for natural gas) predicts CO2 release, and upstream is preferred. For other greenhouse gases and other climate forcings (causes of climate change) besides carbon dioxide, downstream methods capture the amounts better; the question then is whether the value of a downstream cost for other than CO2 exceeds the difficulties. Climate change has great costs—4. Agricultural production is expected to drop in many places where is important today. While production is likely to increase in several areas (Greenland is now growing potatoes! ), scientists are less confident of other areas projected to show growth. The path leading to megadroughts in North America will lead to lower ag productivity than this figure shows. • The largest difference in costs depends only on whether costs are applied upstream or downstream. However, costs are somewhat larger for cap and trade programs, because they require a way of keeping track of allowances. • Taxes are easy for business to plan around. Planning is more difficult with uncertainty about cap and trade prices, and prices can be volatile in the absence of a price floor and ceiling. An extreme example comes from the California energy crisis of 2000, when electricity prices rose due to market manipulation. California utilities brought online a number of older inefficient plants, and the price for a NOx allowance rose from an average of $400/ton to $40,000/ton in 2000. In the European Union GHG cap and trade program, high prices were a factor of 3 or 4 larger than the lowest price. This kind of volatility can hurt businesses acting in good faith, and make planning a challenge. Price volatility of a cap and trade program can be reduced with a hybrid system or/and intertemporal banking. • Taxes set the cost of emissions, but there is uncertainty about the degree to which emissions reductions will occur. Cap and trade programs set a level of emissions reductions, but create uncertainty about the cost of this goal. The hybrid system does better in reaching climate goals, but if a price ceiling is imposed, some of this advantage is lost. On the one hand, there are nonlinear effects from adding greenhouse gases to the atmosphere, which is why the social cost continues to rise. On the other hand, businesses implement the cheapest solutions first, and costs might rise dramatically if they go above the ceiling at all. Economists do not agree about which method makes most sense. One examines whether damage from GHG emissions or the cost of abatement rises more rapidly in price, finds it to be the latter, and favors taxes over cap and trade. Another asserts that if a ceiling price is imposed, then companies can be obligated to buy cheaper offsets to compensate (presumably in a poorer country not enrolled in the program). Others believe that new information can be used better in a hybrid program with intertemporal banking, because businesses are responding not only to changes in permit prices, but to expectations about changes in permit prices. • Taxes and cap and trade differ in how they interact with other climate policies. Add another climate policy to cap and trade, and probably nothing happens. This is because the total emissions were determined by the cap—add higher fuel standards, and the decrease from transportation might be larger, but then the decrease from other sectors is less. This occurred when the United Kingdom added a tax on the electricity sector—it forced the UK to reduce emissions more, and the rest of Europe showed correspondingly lower emissions reduction. Add another policy to tax and it is possible that emissions are reduced. There would be no leakage from the electricity sector with extra transportation requirements. To a lesser extent, the same is true of hybrid cap and trade with a floor, which limits leakage. • There is no wealth transfer to energy-exporting countries under a tax. With cap and trade, fossil fuel exporters (mostly oil) can increase how much they charge. If cost goes up due to a need to buy pollution allowances, oil exporting countries can decrease how much they export. This drives up the price of oil, driving down demand, driving down the cost of a permit—consumers see the same price, but more of the price goes to the oil producer and less to the country with the cap and trade program. This wealth transfer is limited under hybrid systems with a floor on permit prices. Because there is more than one fossil fuel, some of this extra money will not go to oil producers, but to fossil fuel exporters in general. Also, whatever the cartels try to accomplish, there will be enough fringe sellers to mute, though not eliminate, this effect. • For both cap and trade and tax, cost is lower if a good portion of the money brought in via tax or auctioning permits replaces other “distortionary taxes such as income and sales taxes”. Returning all of the money to households is more costly. (Note: under all plans I’ve seen, the poor and some of the middle class, at least, receive rebates sufficient to cover increased costs.) This idea of replacing other taxes has considerable support in the US. Because a tax falls under the House Ways and Means Committee and Senate Finance Committee, and a cap and trade involves these committees and the House Energy and Commerce Committee and Senate Energy and Natural Resources Committee, the cap and trade plan might see more money spent on the environment, which many economists see as a disadvantage. if revenues from nationally efficient carbon prices are used to cut broader income taxes, the overall benefits from carbon pricing can increase substantially, on average by about 100 percent (this is the ‘double dividend’ which can occur when the full range of distortions from the broader fiscal system is properly considered). But if revenue recycling benefits are forgone, the costs of carbon pricing are substantially higher, and actually exceed co-benefits. Elsewhere in the same paper, the IMF paper lists income, payroll, sales, and corporate tax reform as a benefit of a shift to carbon taxes. Note: reforming and replacing income taxes may not mean eliminating them. Thomas Piketty in Capital in the Twenty-First Century and a number of other writers have discussed how society loses if the wealthy are taxed at current low rates, because fewer jobs are created. I have heard and read a number of times of the importance of a cost on GHG emissions replacing more distortionary taxes, but I have never seen the issue addressed in any depth. • Both cap and trade and tax programs have the ability to link with programs in other countries and regions. Similar programs can harmonize their rates, which leads to more overall reductions for the same cost. Details matter—it is hard to harmonize programs where one emphasizes upstream costs (oil well) and one downstream (gas pump). While each country collects its own taxes, a cap and trade program could result in revenue flow between countries. This could be large if one country has a low ceiling. However, it is easier for a country to manipulate facts about its taxes, implying that its tax rate is higher than it actually is. There are “significant challenges” integrating either system, and it is not clear that one method is easier or better than another. • Businesses lobby, some successfully, for exclusion from a GHG tax. With a cap and trade system, industries rarely try to be excluded, but lobby to increase their share of free allowances. So broader coverage is likely, although if too many free allowances are given out, there may be a loss of cost-effectiveness (which depends to some extent on large amounts of revenue displacing other taxes). None of the three systems, including the hybrid, shows an advantage here. • Political feasibility affects how attractive any of these plans are; this varies over time and by location. Cap and trade was preferred until recently, in part because of the misapprehension that it was somehow not a tax. Currently in the US, neither system is seen as having a political advantage. Cap and trade is used in the EU, New Zealand and Australia. South Korea and China are adding or experimenting with cap and trade. There are carbon taxes in Sweden, Norway, Finland, Denmark, the UK, and British Columbia in Canada. Worldwide, neither program seems to have an advantage. In debates about the relative attractiveness of carbon taxes, a cap-and-trade system, or a hybrid of the two, some commentators have supported one option or another based on claimed differences in their incentives for reducing emissions, capabilities for addressing distributional impacts, options for employing or avoiding offsets, and potential for safeguarding international competitiveness. We show that these dimensions do not discriminate between the options. When comparably designed, a carbon tax, cap-and-trade system, and hybrid policy yield very similar incentives to reduce emissions. Comparably designed systems imply the same distribution of policy costs (or policy-generated windfalls) across households or firms; the relevant design features are the extent to which firms are allowed inframarginal emissions without charge and the way that revenues from auctioned emissions allowances or a carbon tax are spent. In addition, each of the policy tools may include or exclude offsets. And the different policy tools have similar capabilities for mitigating potential adverse impacts on the international competitiveness of carbon-intensive domestic firms. This depends on whether the policies are introduced upstream or downstream, and the extent to which provisions for border adjustments or output-based subsidies are included; the three policies have equal potential along these lines. Thus, the incentives for emissions abatement, the distributional impacts, the connection with offsets, and the ability to safeguard international competitiveness depend primarily on the specifics of design, not on the general instrument type. On the other important dimensions, however, the alternatives perform quite differently. …no approach dominates. One’s overall ranking of the different options will depend on the weights one applies to the different dimensions—weights that are inherently subjective. Still, it is noteworthy that the carbon tax or hybrid seems to score better along the dimensions where the advantages or disadvantages are unambiguous. These include preventing price volatility, avoiding emissions leakage, and avoiding potential wealth transfers to oil-exporting countries. Although debates are likely to continue as to the relative virtues of the carbon tax, cap-and-trade, and hybrid approaches, it is worth recognizing a virtue shared by all three. Each approach is a form of emissions pricing, and, as such, each supplies flexible and permanent incentives for emissions abatement that are absent in other forms of regulation. All three approaches have the potential to bring about greenhouse gas emissions reductions in a way that is cost-effective and equitable as well as environmentally successful. Why did I choose the Goulder and Schein paper? The NBER is the nation’s leading nonprofit economic research organization. Twenty-four Nobel Prize winners in Economics and thirteen past chairs of the President’s Council of Economic Advisers have been researchers at the NBER. The more than 1,300 professors of economics and business now teaching at colleges and universities in North America who are NBER researchers are the leading scholars in their fields. These Bureau associates concentrate on four types of empirical research: developing new statistical measurements, estimating quantitative models of economic behavior, assessing the economic effects of public policies, and projecting the effects of alternative policy proposals. In U.S. science, there is a clear process: peer review, higher level review at government agencies such as NOAA and NASA, even higher level review by National Academy of Sciences. If scientists do not approve, an article appears in Science or other major journals. Economics doesn’t appear to have such a clear process. This paper is the most detailed overview that I have seen and overlaps well with lectures I’ve heard (“There won’t be much difference between a tax and cap and trade, and whatever we do, we’ll have to tweak it later because we won’t get the details right the first time.”) It overlaps with what I have been reading about the economics since 1997, although clearly thinking over the years has changed (for example, the importance of a hybrid approach to cap and trade). The paper looks at aspects I’ve never heard or seen discussed elsewhere, such as OPEC’s ability to game the plan. Most important, though, is that a draft version of the paper was assigned in my Energy Policy class spring 2014, so the paper chose me. • Can we address climate change fairly cheaply? • Why add a cost to GHG instead of subsidizing renewables? • Tax or cap and trade? This entry was posted on Friday, February 27th, 2015 at 10:36 am and is filed under General. You can follow any responses to this entry through the RSS 2.0 feed. Both comments and pings are currently closed.